2FA helps to enhance the security of your account and your digital assets. 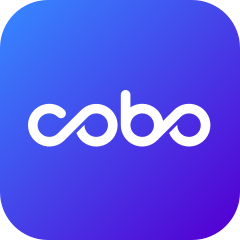 Each time you log in to Cobo Wallet, in addition to the username and password, you must enter a dynamic code to log in. This effectively prevents account intrusion when the account password is leaked. The most commonly used software for 2FA authentication is OTP Auth and Google Authenticator. We will introduce how to set up 2FA using Google Authenticator. Open Cobo App, tap on "Settings", select "Google 2FA", and enable. Write down your 16-digit key and put it in a safe place. iOS users will need to login to the Apple App Store and search for "Google Authenticator". Android users can download Google Authenticator from the Google Play Store or search for "Google Authenticator" to download from Google. 2. Bind by entering the verification code manually. Go back to the Cobo Wallet app, write down the 16-Digit Key if you have not done so already and select ‘I’ve backed up, enable 2FA now’. Enter the six-digit dynamic password generated by Google Authenticator, in this case, 8-8-6-2-9-4. Then, you have finished setting up Google 2FA. Backing up your 2FA 16-bit key ensures that in the event of loss of phone, or malicious activity by any third party, you will not lose access to your Cobo Wallet account. You can download Google 2FA on a new device, retrieve Cobo’s password ,and login to Cobo Wallet application again. We advise that you secure the 2FA 16-bit key in a safe place. You can write it on a piece of paper and store it in a safe as an example. If you forget the code and get locked out of your account, please email support@cobo.com to talk to our customer support to re-enable your account. We will ask you to verify yourself before proceeding with any account reset. 1. Please title your email: "Reset 2FA - XXXXXXXX (your mobile number for logging into Cobo Wallet)"
b. A paper with the follow written on it "I would like to reset my 2FA, signed by (Name) on (2018-MM-DD) date"
The Cobo team strongly recommends that you do not turn off 2FA for your account security. The security of your digital assets is extremely important to us.